I think I may cause some heated debate with this month’s subject. 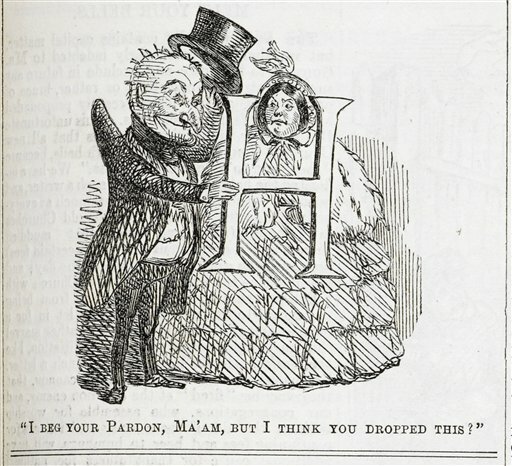 Dictionaries give ‘Aitch’ as the standard pronunciation for the letter H but ‘Haitch’ is increasingly being used all across the country. Polls have shown that this is particularly seen in the younger generation. The British Library wants to get a clearer idea of how spoken English is changing by recording lots of people reading the opening paragraph of the Mr Men book, Mr Tickle. Why some words change is a bit of a mystery. Some changes have come from the influence of American T.V. but why ‘garage’ had changed to ‘garridge’ is not easy to explain. The eighth letter of the alphabet causes ‘aitch anxiety’ in many connoisseurs of the English Language. 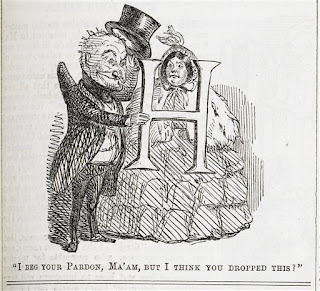 In the 19th century we pronounced hospital and hotel without the H – now we sound it but Americans still drop H in ‘herb’ because they have less class anxiety attached to pronunciation. Language changes continually, with each generation talking slightly differently from the one before. Children learn from their parents initially, then they are influenced by children at school but the link between class, voice and status is not what it was. We still make assumptions based on what we hear but some people are more tolerant of non-standard speech. So what’s the answer – Haitch or Aitch? Well the latter is still the norm. Does anyone seriously refer to the NHS as the ‘En-Haitch-Ess’! Will we still say the same in 20 years time? Your guess is as good as mine! On the ‘Loud & Clear front’ it has been another very busy month although I was in Plymouth adjudicating for 6 days. I also adjudicated in Colne, Lancs. for a day and examined in Cambridge for 2 days. On the workshop front there was a ‘Dynamic Speaking’ day in Leicester, a ‘Voice Matters in Business’ half day, two ‘Being Vocal in a Man’s World’ half days in Solihull and Kettering and a second day of bespoke training for Cemex, Rugby. Well, we’re on the run up to Christmas now and I would like to thank you all for your tremendous support over the last 12 months and for giving me one of my most successful years to date! Comments Off on Haitch or Aitch?